Biocept will apply Prognos’ artificial intelligence (AI) platform toward the use of its clinical laboratory diagnostics for precision oncology, through a collaboration whose value was not disclosed. The companies have signed a software license and laboratory data supply agreement, through which Biocept agreed to supply de-identified data from its liquid biopsy testing to Prognos. 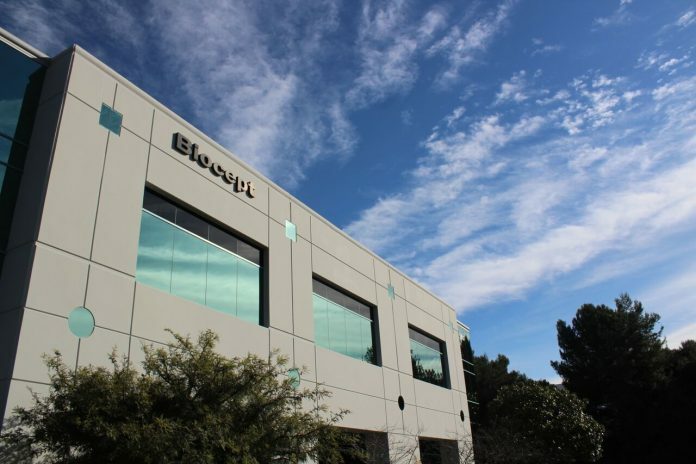 Biocept said it plans to use Prognos’ proprietary Opal de-identification software to collect and transmit its clinical data to Prognos, in accordance with the Health Insurance Portability and Accountability Act of 1996. In return, Prognos plans to leverage its AI capabilities to help its biopharma clients direct their targeted oncology therapies to patients most likely to benefit from them. Prognos said the collaboration will enable it to enhance its Prognos Registry, which houses clinical diagnostics information in 50 disease areas, with over 20 billion medical records for 185 million patients—the largest source of clinical diagnostics data, according to the company. “There is strong demand for clinical information that elucidates the capabilities of this innovative technology in the healthcare market. Our partnership with Biocept will further enable our growing list of top life sciences clients to find and convert appropriate patients to the right therapies,” Prognos Co-founder and CEO Sundeep Bhan said in a statement. Prognos aims to enable earlier patient identification for enhanced treatment decision-making, risk management and quality improvement, using its 1,000 extensive proprietary and learning clinical algorithms. Headquartered in New York, privately-held Prognos is supported by $42 million in total investment—including a $20.5 million Series C financing round completed in November 2017—from investors that include Safeguard Scientifics, Merck Global Health Innovation (GHI) Fund, Cigna, GIS Strategic Ventures (the venture capital arm of the Guardian Life Insurance Company), Hikma Ventures, Hermed Capital, and Maywic Select Investments. GHI is Merck & Co.’s $500 million evergreen fund that has made more than 40 investments in digital health companies deemed to have proven technologies or promising business models. Based in San Diego, publicly-traded Biocept is a molecular diagnostics developer. Biocept’s Target Selector circulating tumor cell (CTC) and circulating tumor DNA (ctDNA) technology platforms use the company’s patented methodology to isolate cancer material that is shed into the bloodstream, capture, and analyze tumor-associated molecular markers. The platforms are intended to aid in rare event detection and genetic characterization by informing clinicians about the presence of CTCs, ctDNA, and other specific biomarkers, such as proteins and amplifications, from the CTCs. Biocept’s Target Selector assays have been commercialized for lung, breast, gastric, colorectal, and prostate cancers, as well as melanoma. In March, Biocept was named by Thermo Fisher Scientific as its “Center of Excellence” for oncology-focused liquid biopsy efforts as part of a commercial collaboration whose value was not disclosed—months after a research alliance between the companies yielded promising results. In reporting third quarter results on November 13, Biocept said it expected to complete validation of the molecular oncology assay panel before the end of this year, and anticipated being in position for commercial launch in 2019: “At that time, Biocept will be the only liquid biopsy company offering both individual cancer biomarker tests along with the option of a larger oncology assay panel,” Nall said at the time.